Kibo is not your average nonprofit. We are an international network of friends with a radical vision: To empower every community in the Busoga region of Uganda to holistically and sustainably transform. Check out our five awesome programs! That sounds like a lot of nonprofits. What makes Kibo different? Sustainable transformation takes time. 🌱 We spend months gaining the trust of our partner communities. We empower locals 🇺🇬 to solve complex problems. Good questions are better than imported solutions! 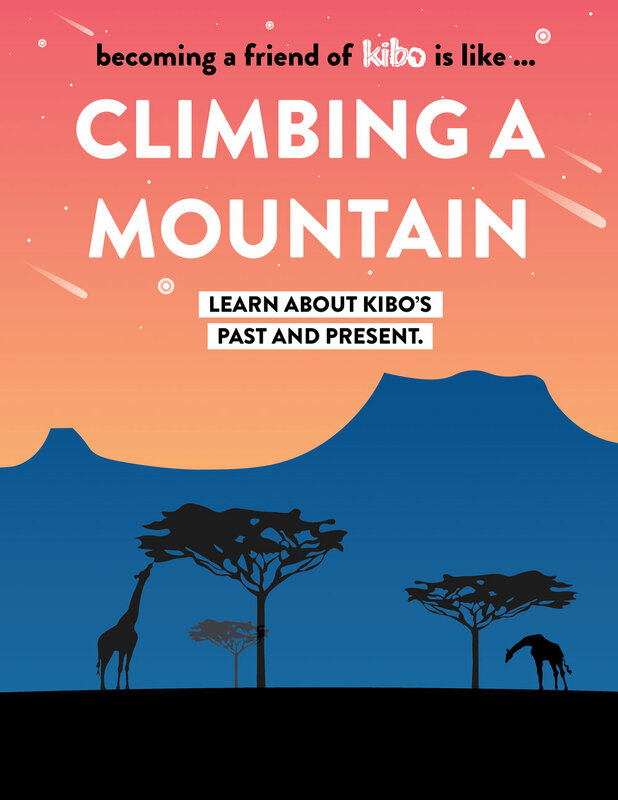 Want some pointers as you tell your friends about Kibo? Here are 3 ways to tell your friends what it means to be a friend of Kibo. Click for more! To do: Upload 10-15 photos with a green gradient overlay to replace the goofy staff photo, make higher quality “we do x gif,” take photos of staff and convert into gif to replace the Office gif, improve the “take action” section, create one more illustration for the bottom. Pros: It’s effective in explaining why Kibo is different and in providing immediate calls to action. Cons: It’s not comprehensive. The lack of a summary of the programs is the biggest omission. They have to click a link to dive deeper into the five programs.